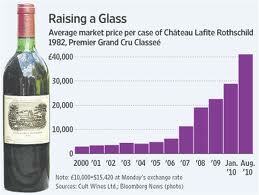 Château Latour has announced that 2011 will be the last year in which it takes part in the futures market. In a letter to its négociants and merchants the château said that from next year the first and second wines would be sold when the wines were considered “ready to drink”. The wines at this stage will still be sold through négociants but the move is widely seen to be catering to markets such as Asia where there is a greater desire for wines that are ready to drink. Latour’s gradually decreasing allocations over the past 10 years or so are also thought to have allowed it to build up supplies in its cellar to support this strategy. While the benefits for the Asian market are clear, those merchants in the US, UK and Europe will now find themselves selling vintages of Latour against bottles of the same vintage released directly from the house’s cellars.